Call 989-634-1459 to schedule your first appointment. When you first discover that you may be experiencing hearing loss, it can be overwhelming and scary. At Miracle-Ear®, we want to put you at ease by providing you with comprehensive hearing services in a caring and welcoming environment. If you’re looking for hearing aids in Clare, MI, our experienced specialists will help you find the best match for your needs. When you visit our hearing aid center, you will discover and experience the Miracle-Ear® advantage. We’ll take the time to learn about your individual needs so we can better serve you. Our highly skilled hearing specialists will be delighted to show you how our GENIUS™ Technology has enabled us to create a number of advanced hearing solutions. GENIUS™ Technology uses eight tiny microphones that all work together to provide you with high-definition sound. With our high-tech products, you will have a better listening experience than those with normal hearing. From the moment you contact Miracle-Ear, you can expect to be treated with the utmost courtesy and respect. We’ll be happy to serve you with a number of complimentary services that include free hearing tests,* fittings, and repairs. Visit our location in Clare and find out why we’re America's most recognized brand of hearing aids. 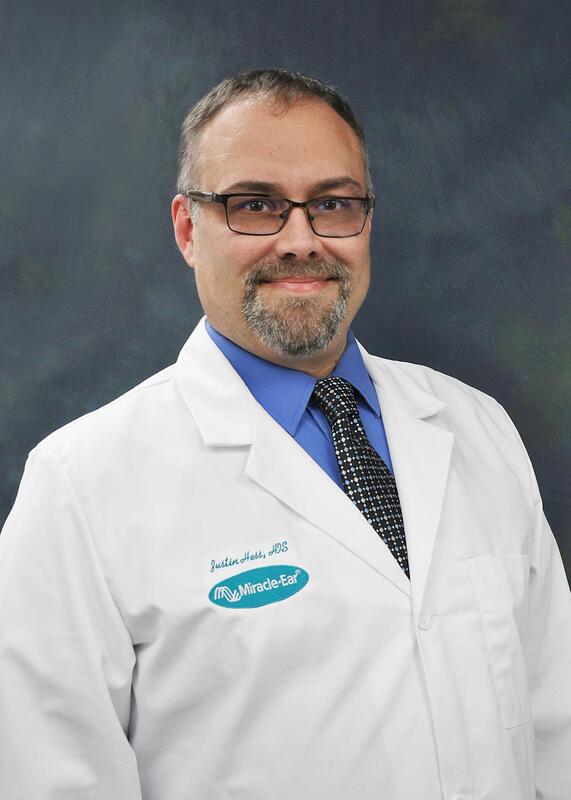 Justin Hess in a Hearing Instrument Specialist who attended Baker College and has over 15 years experience in the medical field. Justin says his favorite part of being a Hearing Instrument Specialist is watching the transformation of the lives in each patient as they improve their quality of life through better hearing. "I try to help each patient understand and reach their full potential and treat them the same way and with the same respected I would want to be treated with."